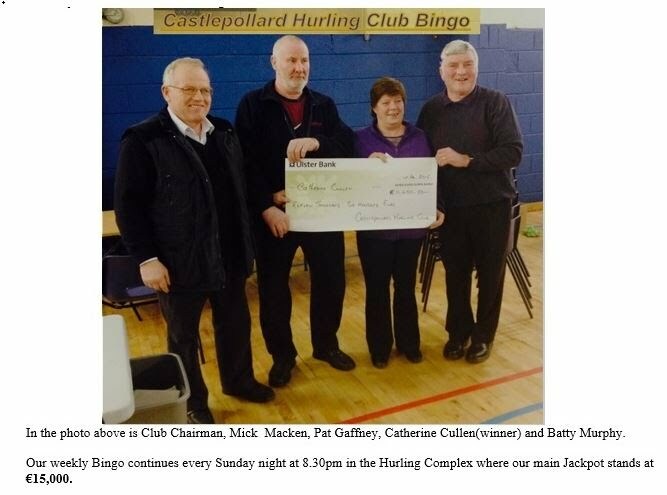 Our weekly Bingo continues every Sunday night at 8.30pm in the Hurling Complex. There was no winner of the Main Jackpot of €15,000 last Sunday night July 19th. Our 2nd Jackpot of €3,900 was not won and now stands at €4,000. Congratulations to Catherine Cullen, Clontyduffy, Mountnugent who scooped €11,600 on Sunday last 1st February 2015 by wining our 2nd Jackpot. We wish her well on her good fortune. 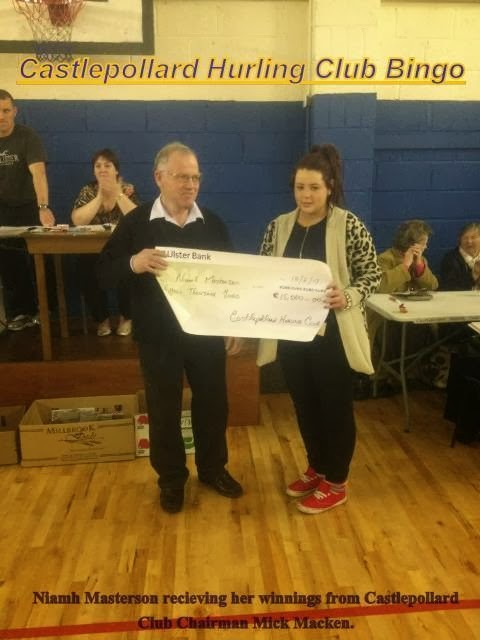 Congratulations to Niamh Masterson, Granard who scooped a whopping €15,000 on Sunday last 10th February 2014 by wining our main Jackpot. We wish her well on her good fortune.